We are pleased to offer a new service for Israeli manufacturing companies to reach US consumers directly. From an e-commerce website to order fulfilment and returns handling, we will deal with all aspects of the online and logistics. 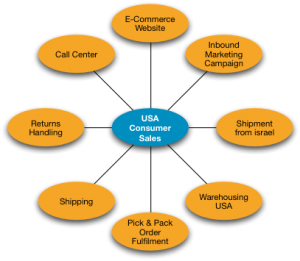 Helping Israeli companies sell direct to US consumers! Deliver to us in Israel and we take care of the rest.